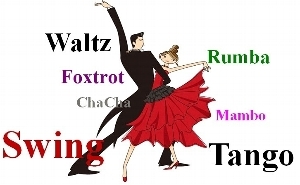 This 2 hour class will provide you all the basics and fundamentals required in order to dance the Quickstep. You will learn a series of steps and the proper technique to perform those steps. - Class size will be limited and workshops must be prepaid - first come, first served. Checks must be received no later than Saturday, September 6, 2014 to reserve your spot. - Registration for the workshops will include the lesson and dance which follows.